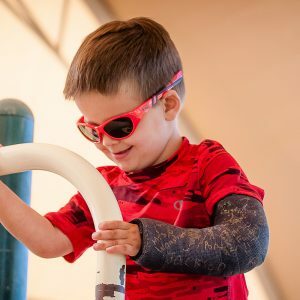 Every kid wants to look cool, even toddlers! 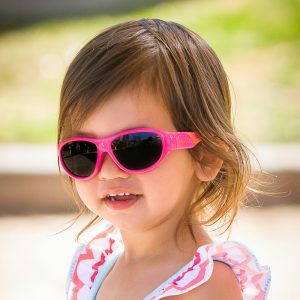 Our Surf sunglasses for toddlers offer that iconic 80s style plus full protection from UVA/UVB rays. With tons of fun neon colors to choose from, you can’t go wrong! Bend ‘em, flex ‘em, you can’t break ‘em! 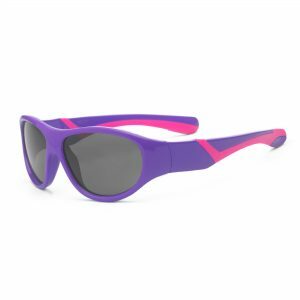 Your son or daughter will be the coolest looking toddler on the block with our Surf sunglasses. 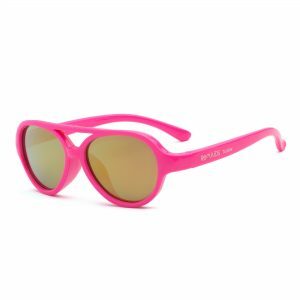 Based on the classic and iconic 80s styling, we’ve pumped up the cool factor with bright neon colors and mirrored lenses that reduce glare by reflecting much of the light that that hits the lens surface. 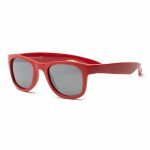 Surf sunglasses for toddlers are perfect for children ages 2-3. I had to find new glasses after my 2 year old took off his old pair and dropped them along our walking route without my knowing. I found these and hoped that maybe we could find a pair that he would actually keep on his face for an entire walk! Since I opened these, he has wanted to keep them on constantly — even indoors. Today, I had to ask him to take them off while he was looking for toys in his toy box because I thought he might not actually be able to find what he was looking for in the dark box with his dark glasses. They are stretchy (and he’s tested them, believe me!) and resilient. They are clearly comfortable (he doesn’t try to remove them). They are stylish (a bonus!). My only concern is that I’m going to need to buy additional pairs to have with us when we are on the move in case I leave a pair at home. He isn’t going to want to b without them, I can already tell. The sunglasses are great. My 2 yr old son loves them and I’m so glad to know his eyes are well protected. I really like the flexible material of the frames, however, I just wish they were a little tighter on his head. They tend to slide down and off his ears so they don’t stay on as well as I would like them too, but at least he’ll be able to grow into them. Great price, quality and style! These will protect my little guy’s eyes and that makes me very happy. 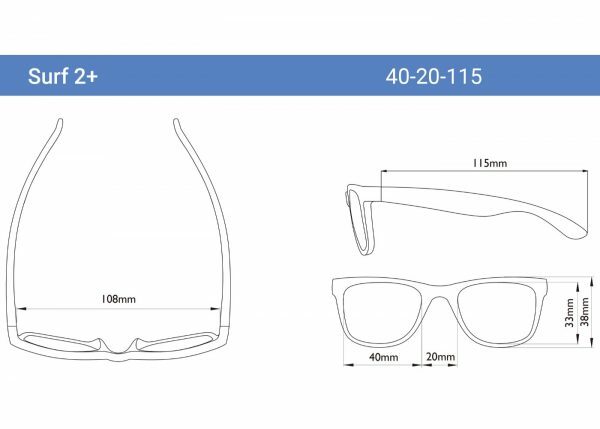 He’ll also look great wearing them, that helps. 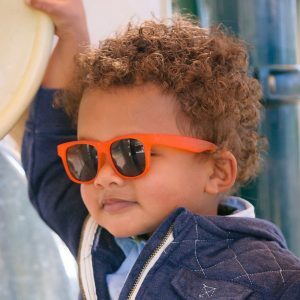 I love the sunglasses but I ordered two sunglasses for my toddler and only received one. I need you to send me the other. Please contact me. I did leave you a voicemail. Thanks. My daughters favorite color is blue…so she is in love with her new shades! 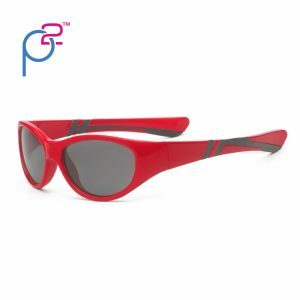 These sunglasses are flexible and fun; I will say that they run a bit large; the 2+ size fits my 5 year old perfectly (he’s small) but are slightly too big on my 2 year old (she’s average). But they both love them and particularly love that they now have their own cases. I have an almost 2 year old and almost 3 year old. 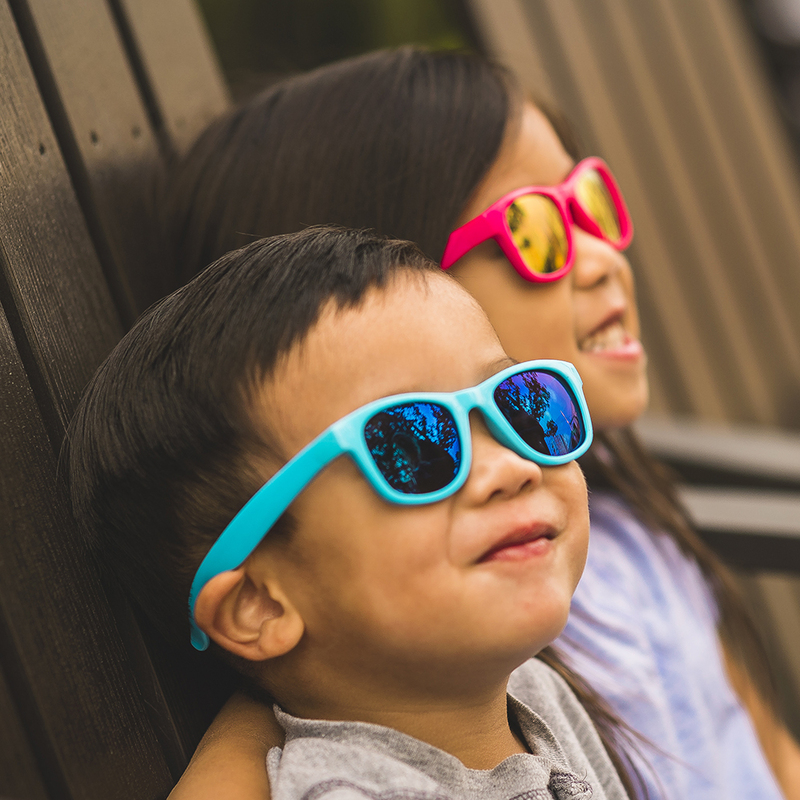 Upon receiving the sunglass in a very timely manner, the kids pulled them out and put them on immediately! They are both in love with the zipper case that comes with. I was most impressed by the fact the glass are dark, 100% UV protective, and the kids left them on. The fit is great and they bend but don’t break.I can’t comment on longevity as we haven’t had them long, but so far so good-a GREAT buy. The quality really nice! 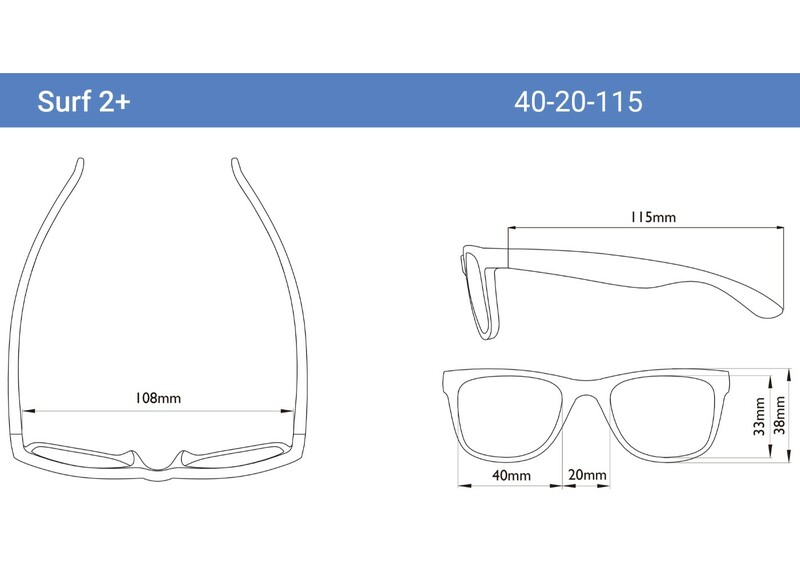 Glasses are flexible, hard to break it! My smaller daughter is really happy with that! Plus we have for free a nice bag for sunglasses! Nice sunglasses for my kids! This was purchased for my son, but stolen immediately by his 27 month twin sister. The frame seems durable and I like the quality of sun protection. I don’t love the mirrored lenses & they seem to pop out of the frame easily–We almost lost a lens at the zoo today! 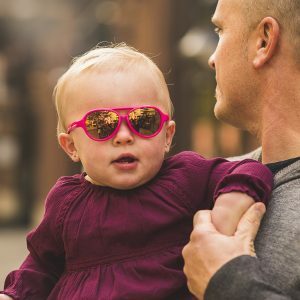 The sunglasses I purchased for my 8 month old son are awesome! They look and fit great. I can tell that he likes having them on, because the other glasses we have purchased do not last long on his head (he pulls them off almost immediately). wenliked them so much we are thinking about purchasing another pair for him. These are great for 3+ year olds! Stylish and the kids like them. Would recommend the explorer for under that age because they are virtually unbreakable and fit the kids well at that age. These could be a bit large for normal 2 year olds and definitely too big for one year olds. I love these. My two year old does too! They stay on nicely and she looks incredibly cute in them! We have had these a full week and my 2 year old has yet to break them, a new record! He loves sunglasses, but always pulls the arms to far and breaks them, he’s been wearing/playing/dropping/stepping on these for a week and they still look brand new! My child hates the strap style sunglasses and we’ve had a really hard time finding something to fit a 2 year old that actually blocks the sun. She loves the fun colors and enjoys wearing them. Love the look and fit. Very comfortable for my toddler and stylish too! She loves to play with them and they can handle her pulls, drops, and squeezes. I can tell they will hold up nicely. 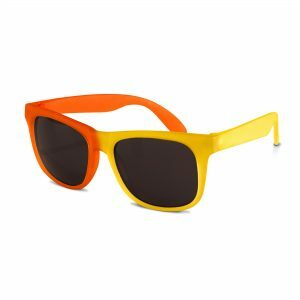 Thanks Real Shades! Purchased for my 2.5yr old, they fit and look great! Very happy with the quality and delivery of the products…My Grandson’s look great in them! I am so happy with this purchase. 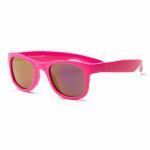 These shades are awesome, they are bendable so I don’t have to worry about my 2 year old breaking them and I love how they feel. Great quality for a great price. Will buy again and again! We love your glasses! Keep on buying them as we grow! Thank you ???? This is the second pair of these glasses we have purchased because we liked the first ones so much. They bend so my son can’t break them. I had trouble finding glasses to fit a small 2 1/2 year old. These fit perfectly! We just bought these for my 2 yr old son. We were impressed by the plastic case with a carabiner to hook onto a bag for easy traveling. They also came with a sunglasses strap so we don’t have to worry about them ending up on the ground. Plus, they’re flexible, comfortable, and stylish! I will definitely be recommending to my mom friends! This is the second time I made purchases for my grandsons love the product fits well and very durable! Kiddo likes them; good style. Purple color would be great! Super cute. A little big for my almost 2 year old but not by much. Ordered these for my almost 2 yr old son and they cannot be any cuter! Love their durability and design. Looking forward to warmer days!